'Tis the season to be jolly! - Tea Parties! ‘Tis the season to get our party hats (and Christmas jumpers) on!! In December, we will be holding two Christmas tea parties – one on the West of the City in Highfield and one on the East (venue tbc but watch this space). If you would like to attend as a guest, or lend a helping hand as a volunteer, you’re more than welcome to come and join the fun! Saturday 8th December 2-3:45pm @ Highfield Church Centre – event helpers (table hosts, kitchen help, welcomers) and drivers would be very much appreciated. 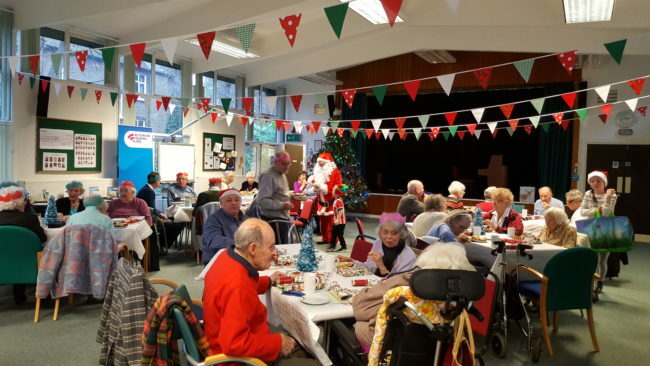 Wednesday 19th December 2-3:45pm @ tbc… – again, any event and transport help would be great, and if anyone would like to share their festive bakes that would also be lovely!